Father and son duo Stephen and Brenton Grove are feeling excited and ready to tackle this coming weekend’s FIA GT Nations Cup (November 30 - December 1). The Groves will represent Australia on the world stage in the inaugural running of the event at Bahrain International Circuit. Herberth Motorsport will prepare and run the Porsche 911 GT3 R; a team which has had fantastic success on the global GT landscape. Brenton arrives fresh off the back of his debut season in the Dunlop Super2 Series, while the elder Grove, Stephen, wrapped up his third Porsche Carrera Cup Australia Pro-Am title in October. 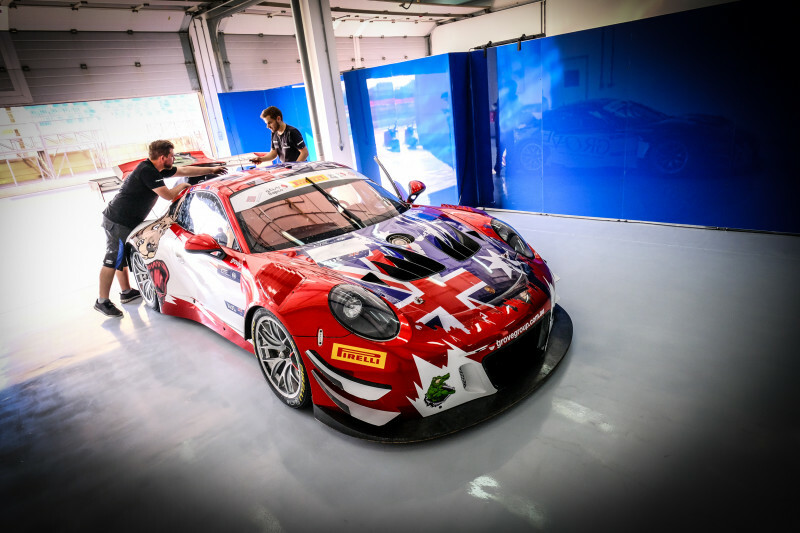 The GT Nations Cup will mark the first time both drivers have steered a GT3 car and turned a lap on the stunning 5.412km Bahrain Formula 1 venue, a new experience which they are thoroughly looking forward to. “I can’t wait, I’m so excited for the event,” enthused Brenton. “For us, it will be our first time in a GT3 car so I’m really looking forward to getting behind the wheel and flying the flag for Australia. “We’ve been doing lots of simulator work in the lead up to the weekend, looking at onboard videos and we’ve also watched previous races there like WEC to get the best gauge of the circuit we can before we arrive. “I watched some Blancpain GT races as well to better understand what cars have strengths in different areas and also to learn how you attack, pass and where to defend from certain cars. “The Porsche always has nice traction so that will be a strength we will need to maximise over the weekend. “There will be some good competition, but it’s going to be good to work with Herberth Motorsport - they’re an exceptional team with plenty of experience." “Look, it will be good to get over there and do something a bit different and drive a GT3 car,” added Stephen. “It’s something quite special to pair up with Brenton and represent Australia at a world-class event like the GT Nations Cup. “While we will be gunning for a good result, it’s also something you’ve got to enjoy and we’ll certainly learn from working with the Herberth Motorsport guys and girls. Promoted by global GT entity SRO, the FIA GT Nations Cup weekend will feature over six hours of on-track action. Friday is the busiest of the two days, with two separate 80-minute practice sessions followed by a quick-fire qualifying session in the evening that will set the grid for a pair of 60-minute qualifying races. Qualifying Race 1 is set to take place under the lights on Friday night ahead of the second of the Qualifying races on Saturday. The hour-long Main Race will also be held under the lights on Saturday night which will decide the overall winning nation. Stay tuned to the Grove Racing social media channels for updates across the weekend and information on where to watch the racing.